Rapid prototype machining is one of our core services. What materials are available at TEAM Rapid? We work with a number of materials including multiple of metals, thermoplastic, elastomers, etc. We have an in-depth understanding of material’s mechanical properties, and cosmetic appearance performances, which allow us to offer appropriate suggestions for our clients to select the corrected material to meet their application requirements. ABS, Acrylic, Acetal/Delrin, Aluminum, Alloy Steels, Brass, Carbon Steel Alloys, Copper, PE, Nylon, Noryl, Polycarbonate, PEEK, PET, Ultem , Stainless Steel, Titanium. 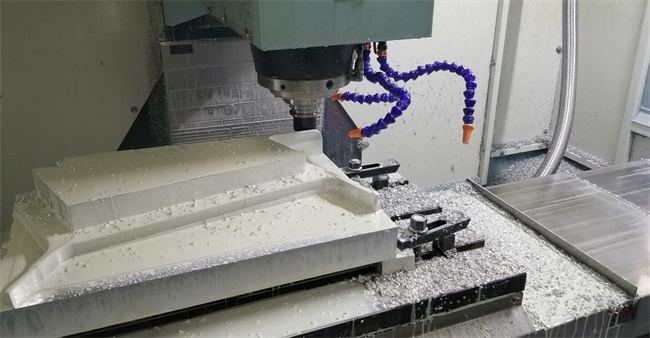 Our CNC Rapid Prototype Machining Services include CNC milling, CNC turning, precision CNC machining service. We are able to provide one to several hundred parts easily and quickly by our advanced CNC machining capabilities. All rapid prototype machined parts are inspected, packed, and shipped immediately after manufacturing. We aim to delivery high quality components to customer at lower price and shorter lead-time. In the past 2017, we have increased our sales volume than 20% till now and gotten lots of good feedbacks from customers. Contact us at sales@teamrapidtooling.com today, and receive competitive pricing and lead-time, we will serve you the best.